Labor leader Avi Gabbay says Iran did not hack Blue and White leader's phone, Shin Bet only said so at behest of PM Netanyahu. Laboy party chairman Avi Gabbay claimed Sunday morning that the Shin Bet's warning that Iran had hacked Blue and White party leader Benny Gantz's cell phone was politically motivated and initiated by the Prime Minister's Office. "The Shin Bet's warning of a hacking was intended to prevent him (Gantz) from entering politics. 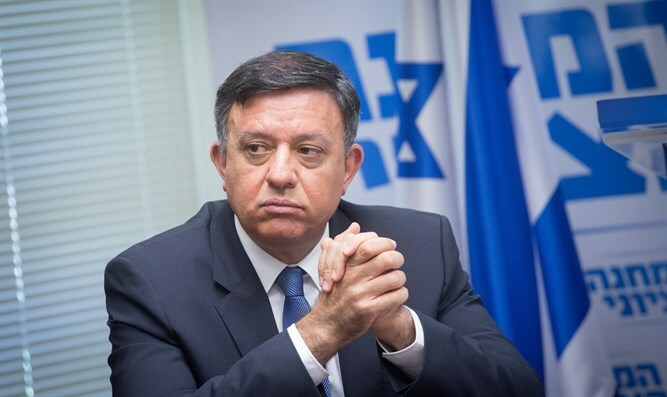 The Shin Bert was a pawn here," Gabbay said. Former Defense Minister Moshe Ya'alon, who is running as part of Gantz's list for the Knesset, also questioned whether Ganz's cell phone was indeed hacked by the Iranians. "This is a typical exercise for Netanyahu's people," Ya'alon said in an interview with Galai Tzahal (Army Radio) this morning. "It's hard for me to believe that the Iranians are interested in Benny Gantz's phone." Earlier, the Blue and White party demanded that Attorney General Avichai Mandelblit investigate whether the Prime Minister's Office was responsible for the leak of the Shin Bet's meeting with Gantz.